Every little girl's dream...to be a fairy princess! Start with our Sparkle Tutu with an elastic waist adorned in wide satin ribbon and sparkles on the outer tulle layer. 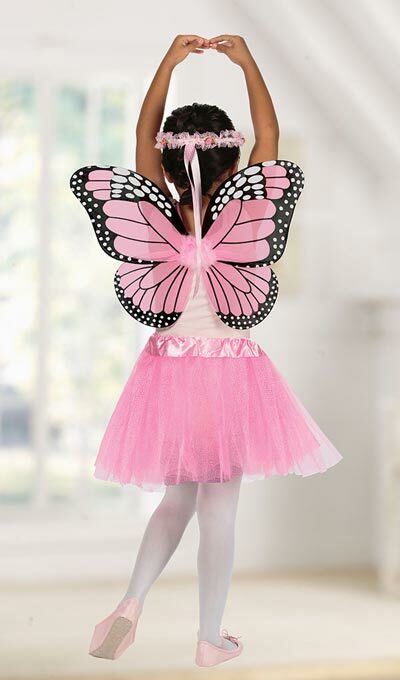 To finish, add Butterfly Wings, complete with straps and accented with faux feathers and tinsel. Polyester. Imported. Ages 3 and up. Tutu, 12"l; Wings, 19"w.